Have your children ever disobeyed you? Have they ever been disrespectful or defiant towards you in public before? Did you ignore the offense or did you take the time to correct their disobedience? How did you go about correcting them? Do you REACT immediately to your child or do you calmly take the time to correct them in a way that is loving, in private? Do you make the mistake of shaming or humiliating your child in front of others, specifically their peers or adults they respect? This is not a topic I hear discussed in Christian circles. It is foundational to raising children because most likely you will come against a time when your child needs to be corrected or even disciplined for either disrespectful or disobedient behavior. How and where you correct them, as well as the amount of time you give yourself and your child for understanding and communicating will directly impact your relationship with them as well as the depth of their understanding and motivation for change and growth. We need to realize that our child doesn’t need to be embarrassed into behaving. Instead, their behavior should be the FRUIT of what has been cultivated in their heart and mind regarding righteous living. Should a parent punish or discipline in public or in private? The consistency objective in parenting would suggest that one MUST punish regardless of where they are. Anyone who has had a number of children will readily admit that they have experienced children “testing” them to see if their parents will be consistent when out of their normal environment (home). I agree wholeheartedly that the parent MUST be consistent and when tested by a child, not give in, or else they will be setting a new standard for when obedience is expected and when it is an option. Many think that being consistent means that they need to become confident enough NOT to care what others think and punish regardless of WHERE they are. This is NOT SO and subsequently, these parents often make a mistake that can hurt their relationships with their children. Parents MUST be CONSISTENT in their training, keeping their word to their children, but also do it in a manner that is worthy of t he high calling that parenting is. Many parents who punish or correct their children in public do it in a way that shames their child. Shaming your child will not only hurt your child’s self-worth but create resentment in your relationship and provoke your child to become angry. We both know that once someone becomes angry, they don’t listen quite the same. We should cultivate an atmosphere where our child will hear us as we speak correction. The Bible warns parents to be careful not to provoke our children to wrath or anger. Shaming a child can provoke anger in them, which immediately creates a wall in your relationship with your child, turning their heart away from even listening to you as you correct them. Ephesians and Colossians warn parents very directly about not provoking one’s children to anger, but bring them up in the nurture and admonition of the Lord. Do you see how correcting your children impatiently in front of others could provoke your children? What are some emotions or reactions this kind of discipline could provoke in a child? None of these responses accomplish the goal we should be pursuing in biblical discipline. Maybe if all we cared about was behavior, but remember we want our child’s heart to be yielding to God, and we want to lead our child to develop godly character. Training is our opportunity for teaching virtue and molding character; it isn’t something we should rush through or sharply react to as if it were drudgery. Parents, listen, I am all for biblical discipline and parenting, but God does not give you the right to Lord over your children. Nor does He say that you have any right to be selfish or lazy in your approach to dealing your child’s behavior or sin. In fact, I see Scriptures such as “treat your neighbor as yourself.” If this doesn’t first apply to how we treat those closest to us, our family, then how in the world do we apply this outside of the family? Let me ask you this question: If the roles were reversed, would you want to be verbally corrected in front of your friends or your parent’s friends? To be more intentional as a parent, and lead your child in being respectful and honoring to others by how you treat them. How do you remain consistent in correcting while not shaming or embarrassing your child? Lead them to another room while you are visiting friends, or step aside from the main party and speak with your child. Take as much time as is necessary for there to be real reconciliation in your child’s heart. 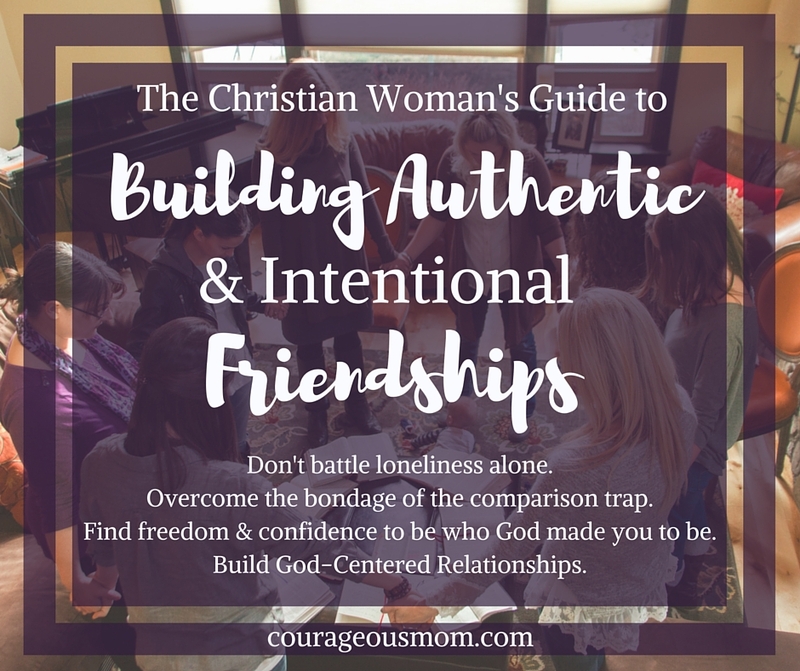 I am talking about discussing the heart issue or friendship issue with your child in an environment where they are undistracted by other people and focused on your conversation with them. helping them to see their wrong, and praying with them. It is ESSENTIAL that you find or create, with your countenance, a safe environment to communicate with your child well and help them to see their wrong. The coolest aspect of making this a habit is that you can hear from the heart of your child and pray with them, chaperoning them into the presence of God where they can pray too. Yes, I get that this takes a while, but this is the job description parents. Imagine you are at dinner at a friend’s home and one of your children is struggling with sharing. Reminding them of the importance of sharing, in public is fine! In fact, I think it is a helpful reminder for all the children in the room. But then, imagine your child pushes another over and steals the toy with a scowl on his little face and shouting, “It’s mine.” Your son has not heeded your warning, has hurt another child, is unapologetic, and growing in anger. It is clear at this point that he needs to be removed from the environment and directed. Rather than shouting, or even loudly raising your voice at your child in front of others, you can gently rebuke him showing your disapproval and apologizing, but the next appropriate step would be finding another room where you can calmly speak to your child’s heart and discipline in private. A quick talking to will most likely not cultivate change, or provoke remorse. If you want to see your child growing a new character virtue like self-control, it takes time, consistency, repetition, and intentionality on your part. It might just take extra patience and work on your part, but you can! Those groceries in your cart are not eternal, but your child’s soul is, and you are training up a child in righteousness aren’t you? So, set the grocery cart aside, calmly ask a clerk to watch your cart and either find a bathroom or walk out to your car so that you can speak directly to your child without the distractions of people. The whole point of training isn’t to punish your child into good behavior, but to connect with their heart, and speak with them about how their actions and behavior are selfish, disrespectful, or defiant in nature and that those are not virtues we want to cultivate or leave in our child’s heart or character. We want to replace those fleshly tendencies with the fruit of the Spirit (Gal. 5-6). Remember that in the midst of training our children, we are not looking to elicit good behavior by using fear (kids can become fearful of being shamed), but rather lead them to desire becoming virtuous in character, which comes from teaching and cultivating. Disclaimer: Obviously, there are many different kinds of scenarios which could require discipline and correction. Some may require abrupt immediate correction where there is no option for finding a private place to speak with your child. My purpose in this article is to challenge each parent to reflect on their heart as they correct their children and ask them, are you seeing this as an opportunity to cultivate character in your child, or do you see their bad behavior as a personal attack on you or an annoyance?